Somatoline Cosmetic Resistant Cellulite - Intensive Action 150 ml order online. Established cellulite is a type that shows an increase in fat cells size and numbers combined with adipose nodules that can sometimes become hard and painful to the touch. Connective tissue loses elasticity and the skin shows visible dimpling (orange peel). Our experts recommend treating established cellulite with a specifically formulated anti-cellulite product. 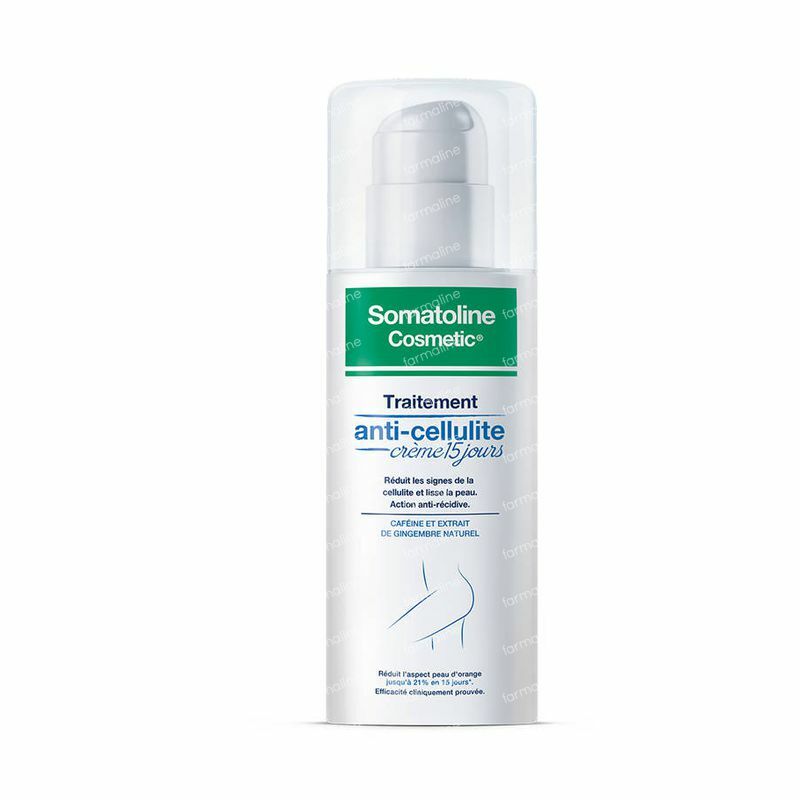 Somatoline Cosmetic research has developed the new Resistant Cellulite Intensive Action, studied for fighting signs of advanced cellulite, available in a dispenser bottle. -helps to attenuate the alterations typical of the tissues compromised by cellulite. -women with skin that has a visible “orange peel” aspect. Apply once a day on the areas to be treated, allowing the cream to penetrate by massaging with light, circular movements. Massage thighs with upward pressure. A warm and/or cold sensation may be experienced, possibly accompanied by a slight tingling and temporary pinking of the skin. The intensity of these reactions, which usually disappear after 30 minutes, depends on individual sensitivity. Wash hands thoroughly after use. Contains the exclusive PhytoCellActive-complex with 5% caffeine which promotes lipolysis. In addition the presence of Quinoa extract inhibits the adipocytes differentation while Menthol acts with a cryothermal action. -100% of women observe an improvement of skin smoothness. *The reduction is due to the cosmetic action of the product during use, which does not involve weight loss. This cream is really fantastic and efficient. I'm getting perfect results! I will buy another one when it's empty. Excelent if you are constant and apply it every day!